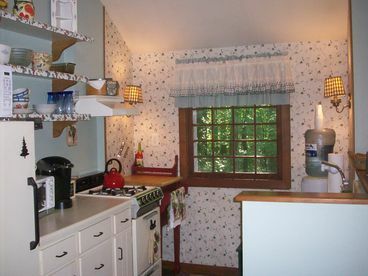 Search 1 Phelps private vacation rental ski cabins, lakefronts condos and vacation homes in AREA, New York. 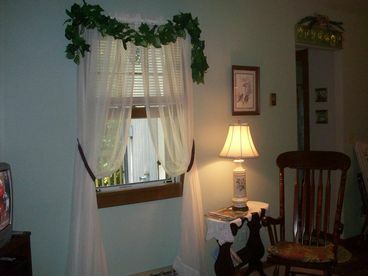 Retreat to our cozy one bedroom cottage in the woods located in the Finger Lakes near wineries, lakes, Hill Cumorah and the outlet mall. 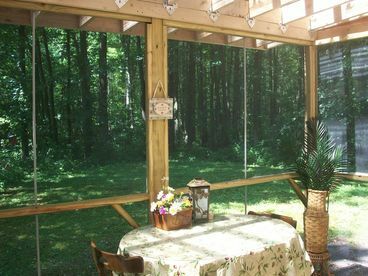 Enjoy a cook-out in the screen room as you watch the wildlife. 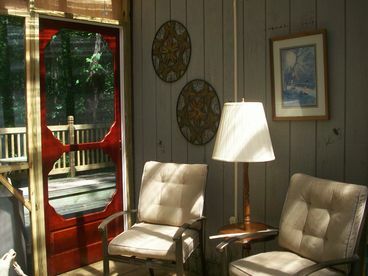 An ideal get-away for couples, the cottage can accommodate up to 4 people.� Equipped with a full kitchen, bath and a washer/dryer.� Escape from the stress of everyday life when you enter this Sanctuary in the woods. 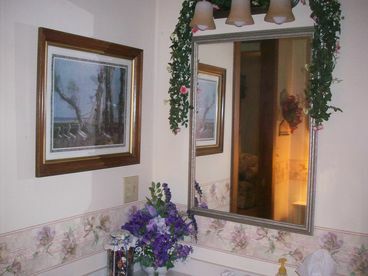 A two night minimum stay is required and weekly stays are discounted.